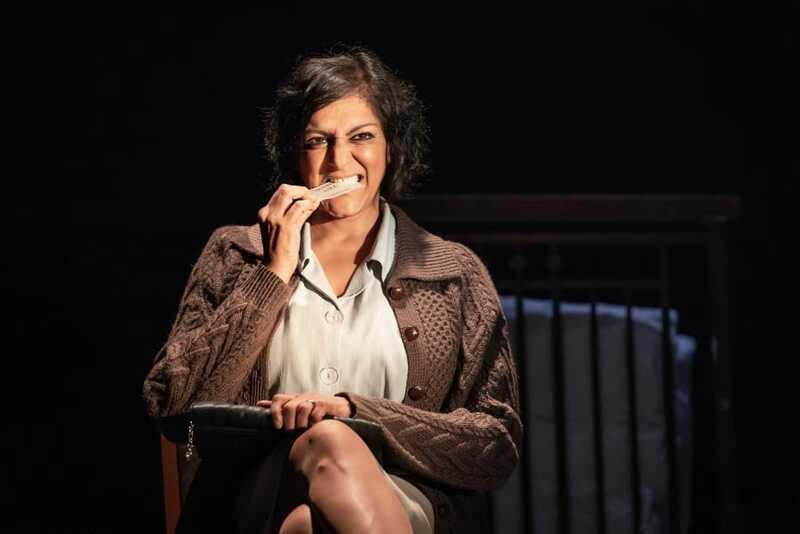 If Pinter 1 was political and Pinter 2 explored infidelity, Pinter 3 has a strong inter-connection of memory, of how fragments of remembrance are reconstructed and remembered by different people from different experiences. This is immediately established in the short play Landscape, originally broadcast on the radio. Here director Jamie Lloyd transposes it to the stage brilliantly, with Tamsin Grieg, as Beth, speaking into a microphone. She never looks at Duff, (Keith Allen), and appears to not hear him; he looks at her but seems to not hear her memory. Her tale is romantic, of being on a beach with her man, possibly the love of her life- maybe not Duff- and offering to have his child. His is more mundane, of walking the dog, of the pub, getting angrier with her and her lack of response. It’s a fragile, beautiful piece, with many an echo of Beckett and beautifully performed by both actors, a wall of non communication almost visible between them. 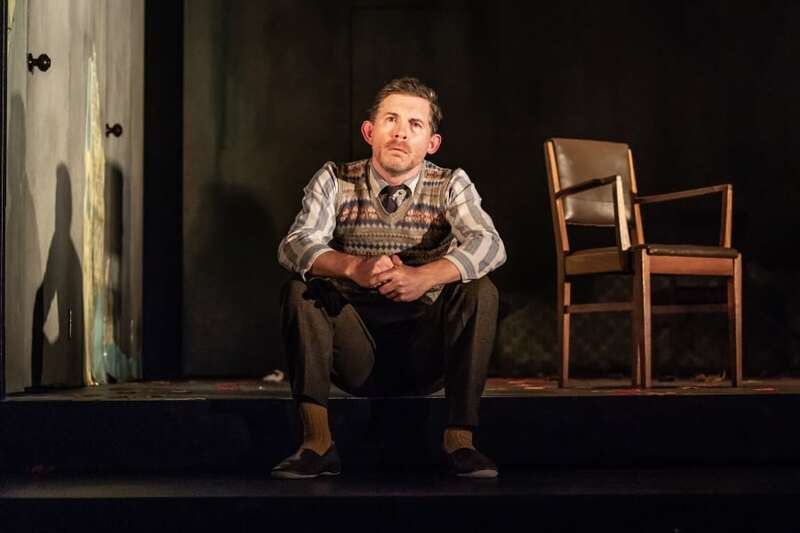 Pinter 3 marks Lee Evans coming out of retirement, and by the end of the collection I was thinking of starting a petition to forbid him to go back into retirement. His trademark physical ticks and comedy timing are utilized to outstanding effect, beginning with the sketch Apart From That, where he an Meera Syal play Gene and Lake, a phone call of casual conversation in which the question “how are you?” and the reply, “I’m fine, apart from…that” is spun out gloriously. 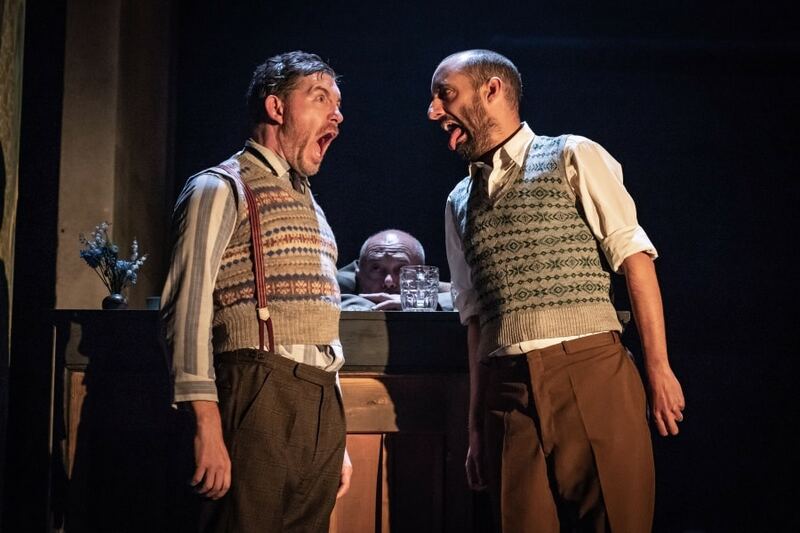 With such fine comic actors in this company, the pieces demonstrate how joyous Pinter could be, and he seems to anticipate sketch shows that followed. (The Fast Pinter? Little Pinter?) 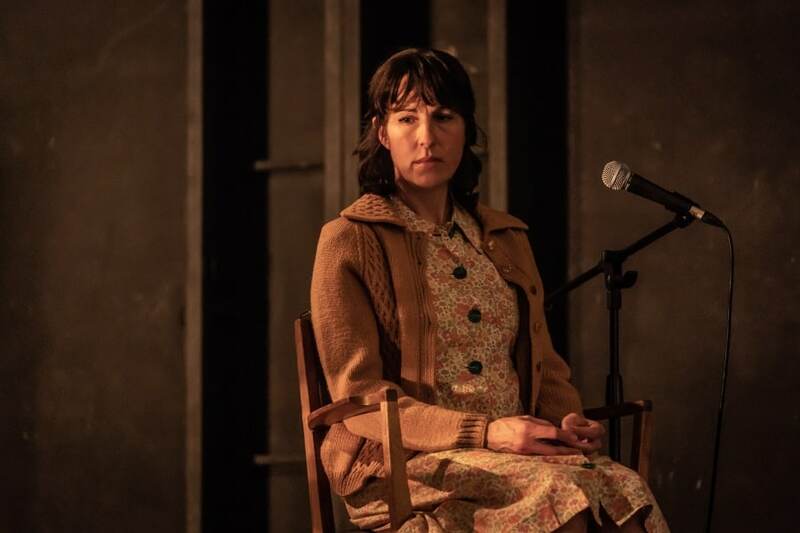 Tom Edden is brilliant in the monologue Girls, and he, Allen and Evans don wigs to play three women having an innocuous conversation about the butchers, hilarious in Pinter’s astute observation of the idioms and rhythms of British conversation. That’s Your Trouble, Special Offer and Trouble in the Works carry this on, providing rarely seen and very funny observations of life. The standout piece is Monologue, performed by Lee Evans, which is essentially a one sided duologue. His physicality and timing are, as usual, of the highest quality, but he beautifully brings out the poignancy of having no children, of being an uncle and loving his friend and his children, but broken at not being a parent. It evolves into a piece of fragile tenderness, and this atmosphere of tender memories is reflected in Night, performed by Edden and Syal, an established couple bickering about their past and underlying their love. It precludes A Kind Of Alaska, which, with Landscape, frames the evening beautifully. Here Grieg and Allen reunite as Deborah awakes from a twenty nine year sleep and Hornby has to break the news to her. Grieg captures superbly the teenage girl Deborah was when she went into her coma, speaking as a child, not recognising her aged sister, and her memories trapped at her young age. It’s a moving conclusion to an excellent evening. What Jamie Lloyd has achieved here is a true ensemble. 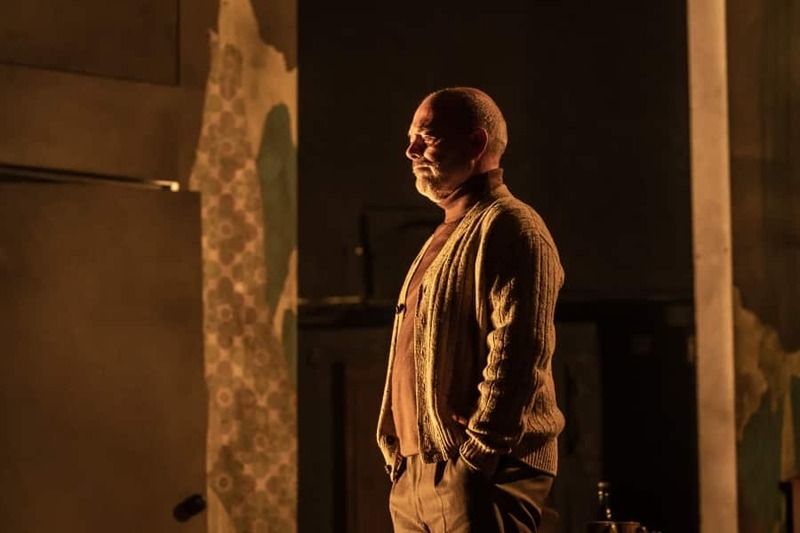 Like Pinter One, the plays and sketches are stitched together seamlessly and complement each other as Soutra Gilmour’s design of a faded, fragmented house revolves and takes us to another play and another location. Even when the writing is challenging and seemingly absurd, the production is rooted in a strong naturalism that will stay in my memory for a long time.